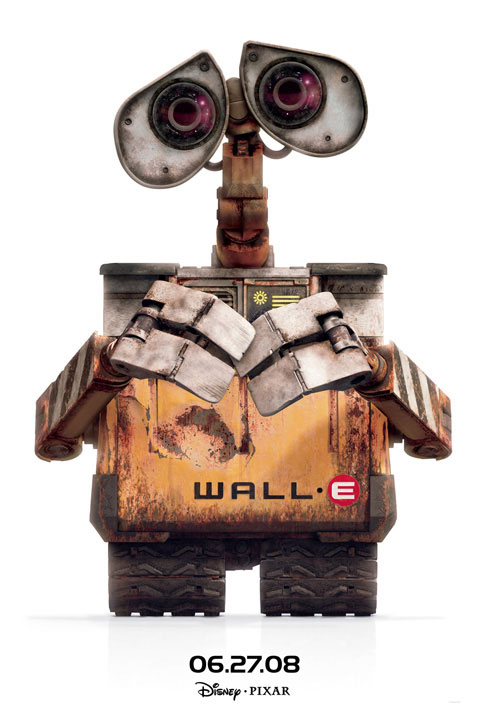 WALL-E is yet another masterpiece. Pixar studios have yet to disappoint. The amount of expression and sincerity produced by the characters in the movie, without the aid of real dialog is amazing. I’m so impressed with how this movie draws everybody in and keeps you right beside the characters the entire movie. I caught myself watching the movie and at one point i had stoped breathing…another point in the movie i found myself with a huge grin on my face. I thought to myself how amazing it is that something completely manufactured can seem so real and seem to have so much history and future. All I can say is WOW. Cant wait to see what your bring to the table next time! Just Speechless on this …oh my!!!! it was incredible!